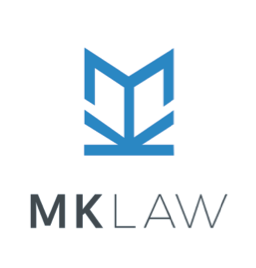 MK Law is a specialist immigration law firm helping individuals and businesses in migrant communities of New Zealand. Michael Kim, founder of MK Law, is our immigration lawyer, who brings unique experience as a former immigration officer. Having worked at INZ, Michael better appreciates the daunting nature of an application process as migrants on the one hand and the need for upholding the integrity of our immigration system and the national advantages on the other. His expertise will make your application process simpler and clearer. That way, MK Law is better positioned at helping genuine migrants in need of our expertise. For Immigration New Zealand, this is how there are lesser boxes to tick from cases represented by MK Law. In this category, the most important question is whether or not your job substantially matches the ANZSCO description of your choice. You don’t have to prove that your employment matches every single tasks described in ANZSCO. However, it is important to understand that your position is designed to deal with the same stakeholders as the occupation described in the ANZSCO. For example, a business development manager and a sales manager have different stakeholders. Business development manager role requires an outbound perspective as it deals with the external stakeholders ie business suppliers. On the other hand, the sales manager is internally focused as it mainly deals with the internal planning and organising within the organisation ie setting up a sales strategies and managing the sales performance of the organisation. There may be a subtle difference at first glance. However, it is an important distinction which often determine success of your application. Therefore, knowing what your job really is all about in terms of this ANZSCO often requires consulting and research beyond mere study of the ANZSCO. As specialist immigration lawyers, we look beyond the ANZSCO description and help you design your job in consultation with your employer. We find most of the employers are helpful and supportive of the application process. The employers often appreciates our services as we can design a solution that would otherwise be unavailable directly from the clients. Invariably, these are the main reasons that your application maybe declined. INZ’s default position is to not grant a work visa under the Essential Skills Category unless the above main requirements are satisfied. This is to ensure that the New Zealand labour market is protected to ensure that New Zealand workers are not disadvantaged by migrants. The work visas are available only to the extent in which the New Zealand employers are unable to find a suitable person for their businesses. Thus, it is vital for the employer sponsoring you to make a clear and unequivocal case that your employer was unable to find a suitable person from the New Zealand labour market despite genuine efforts to do so; and your skills are essential for the position offered. The availability of a New Zealand person often depends on the specific skill level under which the position to be filled is categorised. The higher the skill level is, the less likely that there is a New Zealand person available for the position. Many applications fail because INZ officers believe that the skill level of the applicants’ job do not match the skill levels required of the ANZSCO descriptions. That is to say that the actual jobs are not what the applicants say they are. How could this happen? INZ has always been overloaded with applications and under pressure to complete those applications within a certain timeframe. So they will often solely rely on the information already available the job description in comparison with the position advertised and make a judgment call on the spot. Thus, it will be in your best interest to discuss your main duties with your employer before signing an employment agreement and design your role that best matches the core tasks and the skill levels of the relevant occupation in the ANZSCO. If you are already on the job, it is still important to identify the shortfalls of your duties at work and make sure that your job does what ANZSCO describes it does. It is dangerous to assume that you are deemed suitably qualified to your job by training or experience. Many applications fail because the applicants simply relied on their credentials that seemingly belonged to the same industry. A simple example is a retail manager position. Just because an applicant has a business diploma and worked at a dollar shop doesn’t mean that he or she is qualified to work as a retail manager, who is responsible for a variety of tasks including, among others, planning, implementing and reviewing sales, operations, and HR strategies. It is vital to link your credentials to the specific tasks that your employer thinks essential for the position. There has been a major shift in the INZ’s approach in dealing with the business visas following the review of the LTBV business visa system. The focus is now on the long term benefit to the New Zealand economy rather than catching up with the number in terms of the annual government immigration programme. The relevant visa instructions have been tightened up to reflect the government’s intention in favour of quality rather than quantity. Now, in addition to meeting the minimum threshold of 120 points, the applicants must dispose the strict onus to satisfy the business immigration specialists that their business plan is innovative, economically beneficial and of high growth potential. A thorough preparation of business plan that is well informed and realistic in terms of the current business circumstances of the relevant industry is, therefore the key to a successful application for the Entrepreneur Category Visa. Having successfully established a business as per the business plan for at least two years, you may be eligible for a resident visa under the Entrepreneur Residence Visa. ‘Successfully establishing’ a business is a technical definition that sets out a number of requirements. This requires satisfactory evidence that you have invested the nominated capital into your business proposed in your business plan; that you have been self-employed in that business for at least two years; and that the business is trading profitably. You must be able to financially support you and your family from the business activities to prove that you have been self-employed in the business. Due to the complex nature of the visa scheme, it is highly recommended that you consult a professional immigration practitioner for your Entrepreneur Visa application. It is imperative that not all unsuccessful resident visa applicants will have recourse to IPT appeal. Appealing the decision of INZ to IPT is a quasi-judicial process that requires the appellant to point out that the INZ decision was procedurally improper, substantively illegal and/ or unreasonable. Alternatively, you need to demonstrate that you are in exceptional circumstances of humanitarian nature so that deportation from New Zealand is unduly harsh or unfair. It is not uncommon to find INZ decisions that are based on some prejudicial information that were either not properly disclosed in PPI letter; not directly relevant; or assumptive or biased. To be successful for your IPT Appeal, you should be able to pinpoint the administrative errors and to show how those errors affected the outcome of your resident application. IPT also hears appeals against deportation liability on the humanitarian grounds. A deportation liability may arise from a criminal conviction within a certain number of years after the resident class visa was granted. It may also arise if you failed to satisfy the specified condition of your Resident Visa under the s 49 (1) of the Immigration Act 2009. If IPT is satisfied that you are in exceptional circumstances that would make it unduly harsh for you and/ or your family to be deported from New Zealand, it may recommend the Minister of Immigration to re-consider your case as an exception to the relevant visa instructions. Humanitarian circumstances do not have to include a dramatic event. A composition of your person’s circumstances in New Zealand including your family circumstances and your time and New Zealand along with some other unique circumstance may well be deemed as an exceptional circumstance of humanitarian nature.